Architectural masterpiece and symbol of eternal love, Taj Mahal is one of the seven wonders of the world. Lying on the bank of river Yamuna, the Taj Mahal is located in Agra, a historical Indian city, Taj Mahal was built by famous Mughal ruler Shahjahan in memory of his favourite wife, Mumtaj Mahal. Taking a huge 22 years to build, the wonder palace gets its appropriate description in Tagore words a teardrop in the cheek of time. The great architectural wonder, Taj Mahal with its unique calligraphy, mosaic motifs, mausoleum and domes is undoubtedly one of the best tourist fascination in india. The world famous palace calls tourists from all over to witness the best preserved architectural heritage and an epitome of eternal love in its milky white pristine marbles. Giving tourists a rare experience, lily like gleam of Taj Mahal is a lovely exploration of Indian architectural beauty. The joy of discovering the Taj Mahal comes to its highest point when sightseeing take place under the moonlight, especially on full-moon night. Discovering the Taj Mahal in presence of moon, one sees the whole of the immense mausoleum glowing along with the bright moon. Gardens around the palace are another delight to walk into. Square shaped, the garden has a pool in the centre having four subsidiary canals flow. Must See & Do ! Nature walk : The nature walk in the park in its total 16 lawns and pathway lined by pines, palms and poplars make one be dazzled while gaping the monumental beauty. Go sailing : To acquire the complete overview of the palace, the best way is to walk to the river Yamuna flowing close to the monument, and go sailing in a country boat. Especially reaching to the Poorbi Ghat before dawn makes one viewing a stunning sight of the wonderful white monument. Enjoy Photography : Being photographed with your spouse before the marble wonder and taking photograps of the palace while enjoying boat ride in the river enable you to topple over the charm of monumental beauty of Taj. Taj Mahotsav : Held in the month of February every year, the 10-days festival gives tourists from worldwide the best time to schedule their visit to Taj Mahal. As the historical monument of love suffers from Marble Cancer (a fungal covering on the monument due to air pollution), government has banned petrol and diesel vehicle from coming within one and a half kilometres of the monument. To take tourists to the monument, numerous of tonga (wood made vehicle pulled by horse) and rickshaw are always lined up. The small ride of tonga costing you a penny is full of opportunity to see the historical city lively. The Taj Mahal, open from Saturday to Thursday between 6 AM and 7 PM costs a little sum of US$ 17 (INR 750). 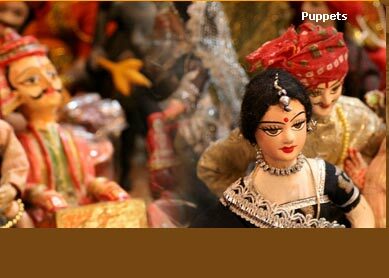 We at Cultural Heritage India do not permit reproduction of any content of this site. 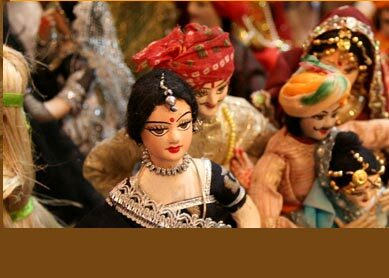 Copyright 2007 © Cultural Heritage India. All rights reserved.